This morning’s outage occurred at 9:06 am, and lasted for one hour, five minutes. Consumers Energy says that a contractor, not one of theirs, hit a power pole, causing the outage. 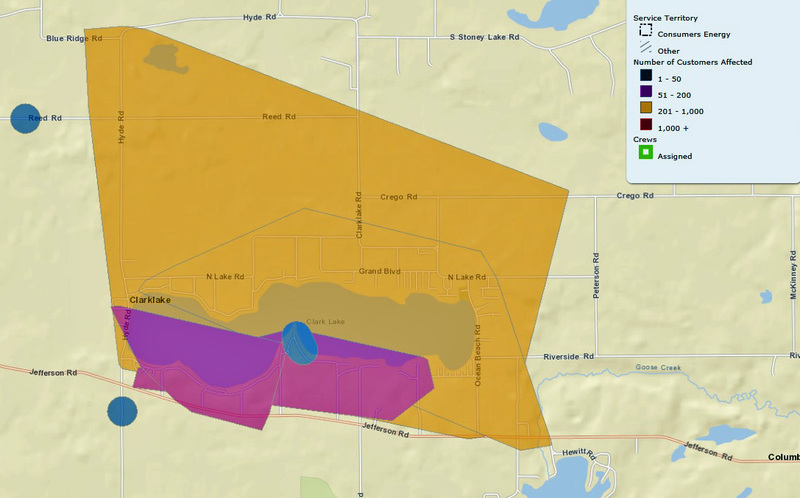 For updates when power is down, click here for the latest Consumers Energy outage map. Below, the outage map as it appeared this morning.